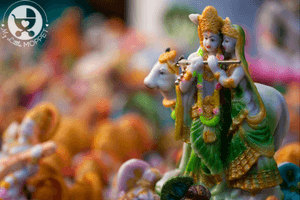 Anyone who has participated or witnessed a procession during the Ganesh Chaturthi festival in India will never forget the experience! I had the wonderful opportunity of watching such a procession in Pune, and the sheer enthusiasm of the crowd was infectious, to say the least! While Ganesh Chaturthi is celebrated with particular fanfare in western India, the celebrations in other states are no less spectacular! 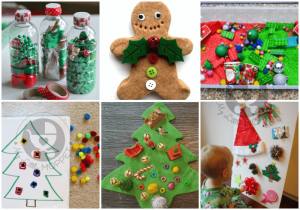 Whether you’re having a grand procession or a private ceremony at home, you can always set aside some time for festive activities with your kids. 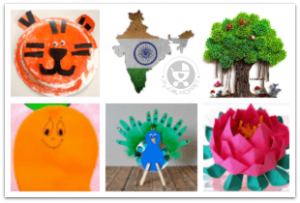 Here are 10 Ganesh Chaturthi crafts and activities for you to try out with your little ones – there’s something for all ages here! 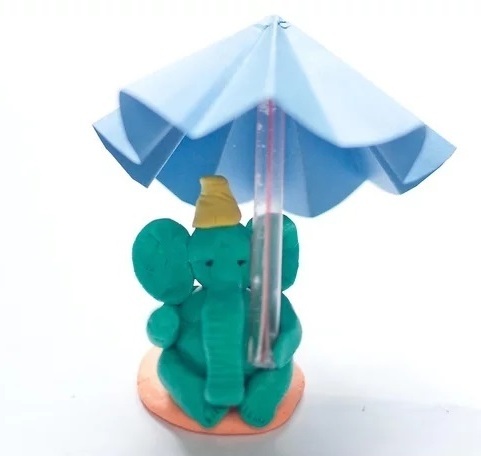 If you’re making your Ganesha idol yourself, let the kids contribute with a little umbrella. 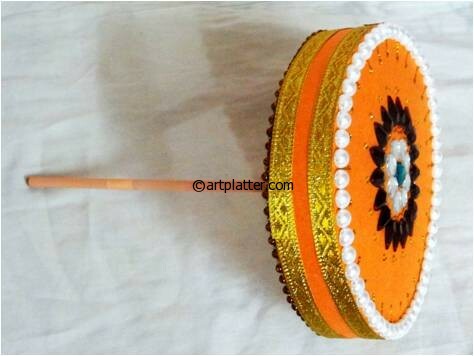 Art Platter shows you how to make one step by step. Feel free to embellish it any way the kids like! 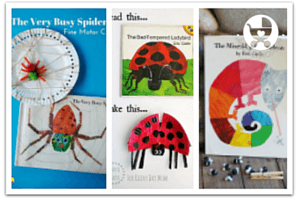 Here is a cute craft for little kids from Free Kids Crafts!! 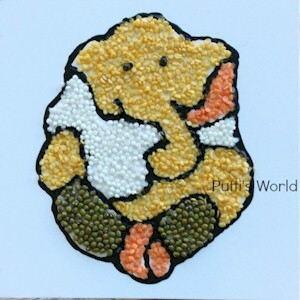 Get the Ganesha printout from the website and then decorate with lentils for your own collage. You can also try torn tissue paper for younger kids. 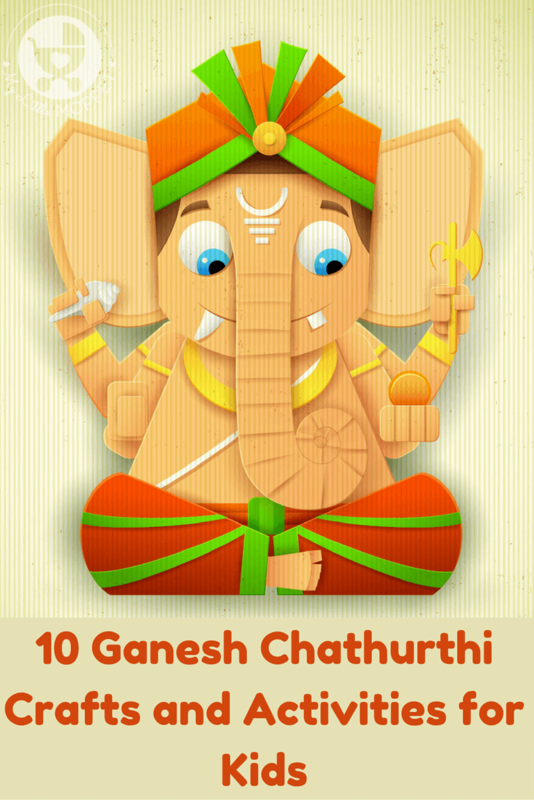 It is said that modaks are the favorite sweet of Ganesha, which is why they are very popular this time of the year. 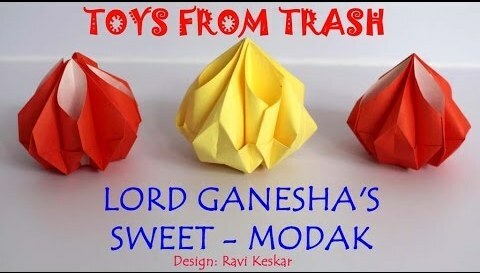 Arvind Gupta’s YouTube channel has a tutorial for some gorgeous looking Origami modaks. I’m sure this is something new for the kids! 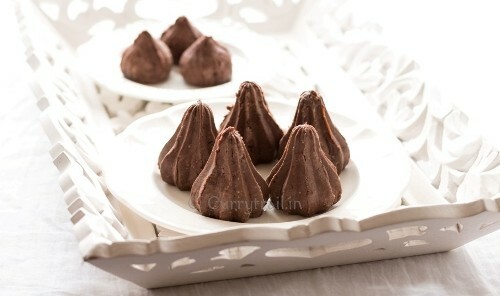 If the Origami modaks have made you hungry, try making these chocolate modaks from Curry Trails. While the traditional modaks have their own charm, anything chocolate-related is bound to be irresistible for kids! 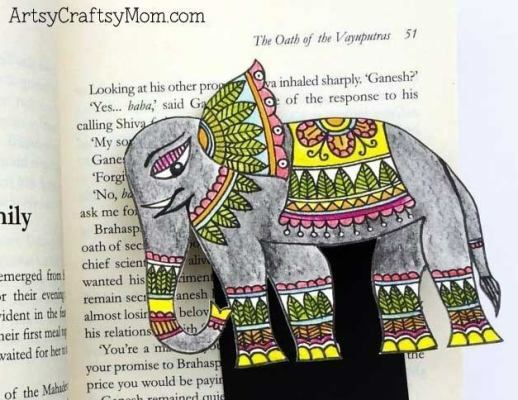 Artsy Craftsy Mom has a pretty elephant bookmark that makes a great gift for Ganesh Chaturthi. 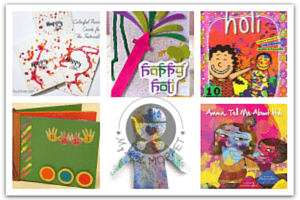 The bookmark is made using traditional Madhubani folk art technique that’ll be an interesting experience for older kids. Who doesn’t love playing with Play Doh? If your little one is familiar making shapes with play dough, then it’ll be easy for her to make this play dough Ganesha with instructions from Wikihow! 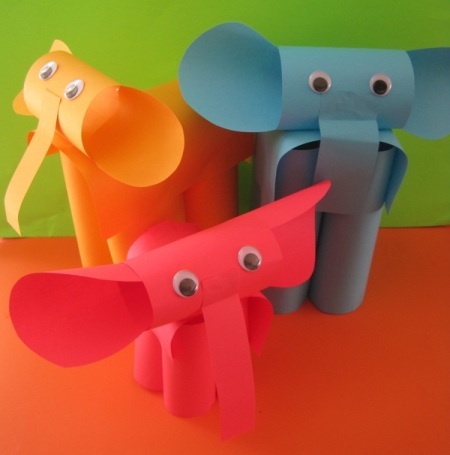 Make your Ganesh Chaturthi as colorful as you like with these elephants made from colored paper! The Golden Thread of Truth shows us how to make these cute creatures, complete with googly eyes! 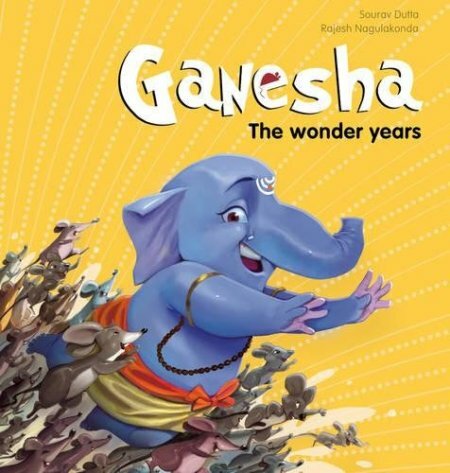 This graphic novel is a cute little book for tiny kids who’ll enjoy the fun adventures of Ganesha through his wonder years! The older kids will enjoy reading by themselves and the little kids will have fun being read to! 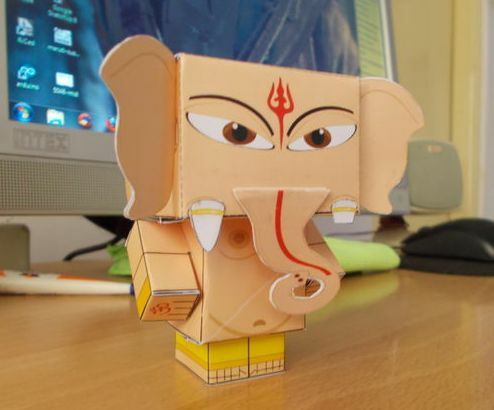 If you’re short on time but would still like to make something, this Ganesha paper craft from Instructables is perfect! Just download, print and fold as per instructions for an absolutely cute result! Food during Ganesh Chaturthi doesn’t need to be limited to modaks, you can also try pizza! 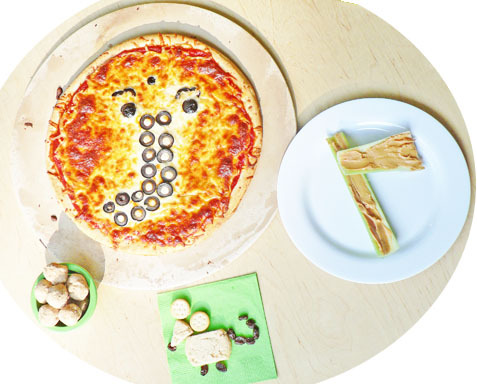 Gnaana shows us how to make a Ganesha pizza with olives, along with other symbols like the mouse and the axe! 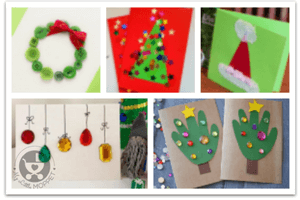 Making crafts and doing fun activities is one of the best ways to keep kids in touch with their traditions, and festivals are the perfect opportunities. 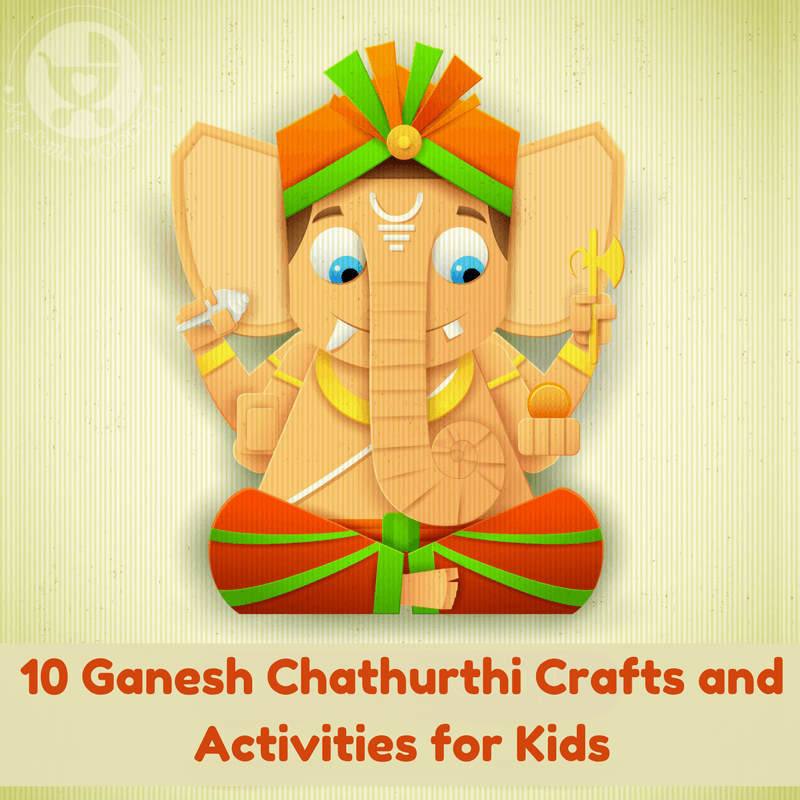 So this festive season, take your pick from these 10 Ganesh Chaturthi crafts and activities and have fun with the whole family!